In less than two months, BMW returns to the FIA World Endurance Championship with their all new M8 GTE. 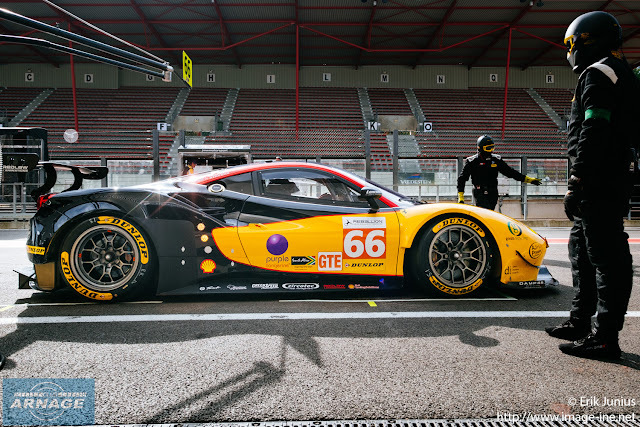 After the cars debut at Daytona, it will race at Sebring next month before the M8 will make its debut on Europe at the WEC prologue at Le Castellet in April. 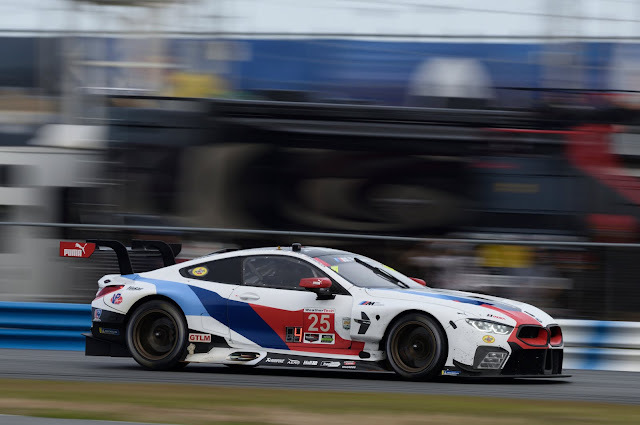 BMW developed a new engine for the M8 which already showed its reliabilty at Daytona. Let's take a closer look at the M8's powerhouse. Every successful race car needs a powerful and reliable engine to accelerate to top speed. In the case of the new BMW M8 GTE, this is the BMW P63/1. The story of this special powerhouse began back in February 2016. With the start of the conception phase for the new GTE engine, the engine designers at BMW Motorsport embarked on their most comprehensive project since the development of the power unit for the DTM comeback in 2012. In total, more than 500 engine design drawings – and another 500 drawings for the powertrain – were created in the following months. The result of that work is the most efficient engine that BMW Motorsport has ever developed, delivering between 500 and more than 600 hp (depending on the specifications of the sporting authorities). The P63/1 passed its first performance test at the modern BMW Motorsport test rig in Munich on the 20th January 2017 with flying colours. That was a special moment for the engineers – as was the roll-out of the car on 1st July 2017 and the race debut at the 24 Hours of Daytona (USA) on 27th January 2018. The goal during development was as clear as it was ambitious: to develop the most efficient engine ever to power a BMW race car. To achieve this, it was initially very important to decide upon a base engine ideally suited to the high demands encountered in motor racing. Working closely with the developers at BMW M GmbH, the decision was made to use the BMW S63T4, a V8 engine with BMW TwinPower Turbo Technology, which was first used in the new BMW M5. As stipulated in the regulations, the cast parts in the engine block and cylinder head were adopted without modification from the production power unit. Both components were made in the light-alloy foundry at BMW Group Plant. Here, innovative and sustainable manufacturing methods are used to make technologically-sophisticated engine components from light-alloy casting. 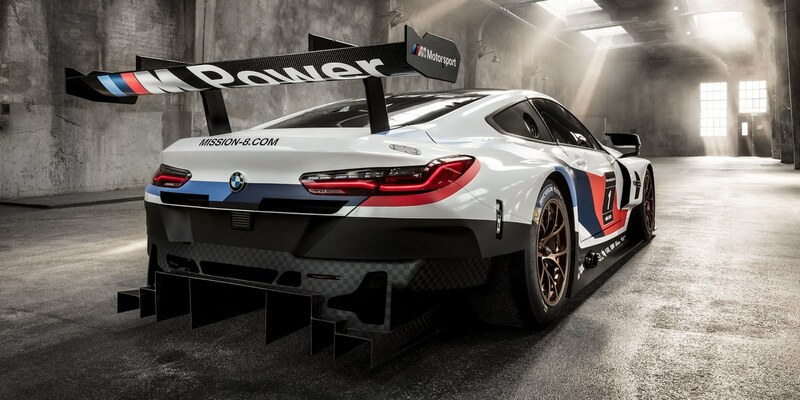 Aside from the regulated cast parts, the engine in the BMW M8 GTE – containing approximately 2,300 further components, including 985 unique parts – required comprehensive modifications. Of these parts, 181 were derived from series projects, while more than 700 were specifically developed for the P63/1 or added from other BMW Motorsport racing engines. allows the P63/1 to achieve efficiency levels well above 40 per cent. This makes it the most efficient BMW racing engine ever in sports car and touring car racing. This efficiency gives teams far greater flexibility with regard to race strategy. As well as being efficient, driveability is another outstanding feature of the P63/1. This helps the drivers get the most out of the BMW M8 GTE on the track. A completely new approach to engine control made it possible to achieve instant throttle response and linear power delivery from the engine. 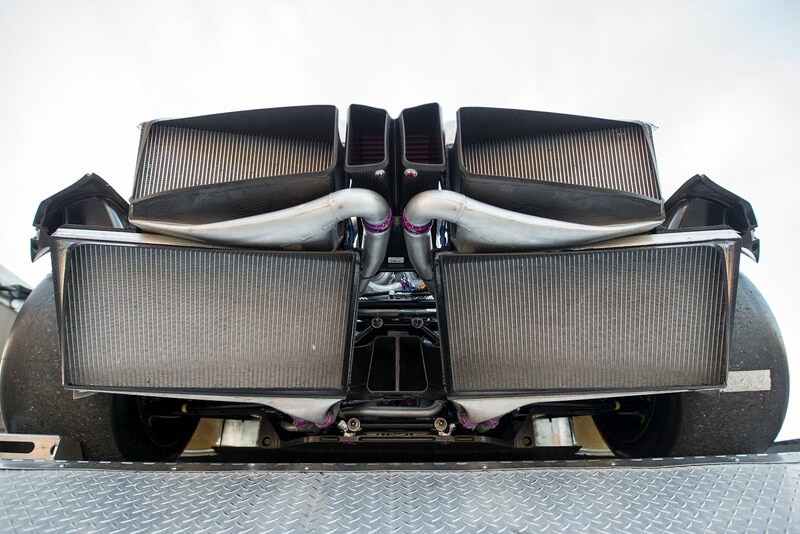 Technical data for the P63/1 engine for the BMW M8 GTE. Gibson Technology confirmed today their new contract with Rebellion Racing and manufacturer Oreca to supply LMP1 engines for the 2018/19 World Endurance Championship Super Season. The 2017 WEC LMP2 Champions have confirmed their intention to contest LMP1 in FIA WEC in 2018, running a two car team with an Oreca chassis and Gibson GL458 engine. This is a return to the top category of WEC for Rebellion and will include competing in the grueling Le Mans 24 hours. The new LMP1 engine supplied by Gibson will be based upon their successful LMP2 engine. Design, development and production of the new GL458 are taking place at Gibson’s state-of-the-art Repton facility, with the first engine being scheduled for delivery to Rebellion next month. All LMP2 teams in WEC, ELMS, Le Mans 24 Hour and IMSA in the USA are currently powered by Gibson engines, with over 600,000kms covered so far with the GK428 engines. 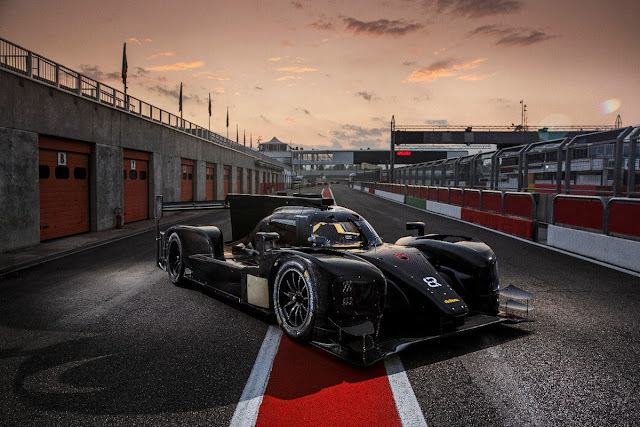 The new LMP1 contract with Rebellion Racing is a natural progression for Gibson’s highly motivated engineers to prove their reliability and success at the top level of endurance racing. The 2018/2019 FIA WEC "Super Season" really lives up to all expectations with a record breaking grid of 36 cars; 17 prototypes and 19 GTE cars over 4 different classes. After a booming grid for the European Le Mans Series on Thursday, a maximum capacity grid for the WEC shows endurance racing at the highest level is alive and kicking. No less than 10 cars will feature in LMP1, the highest number since Le Mans in 2015 when 4 manufacturers were competing. This time though it's Toyota versus 5 privateer teams, all with brand new non-hybrid LMP1's. 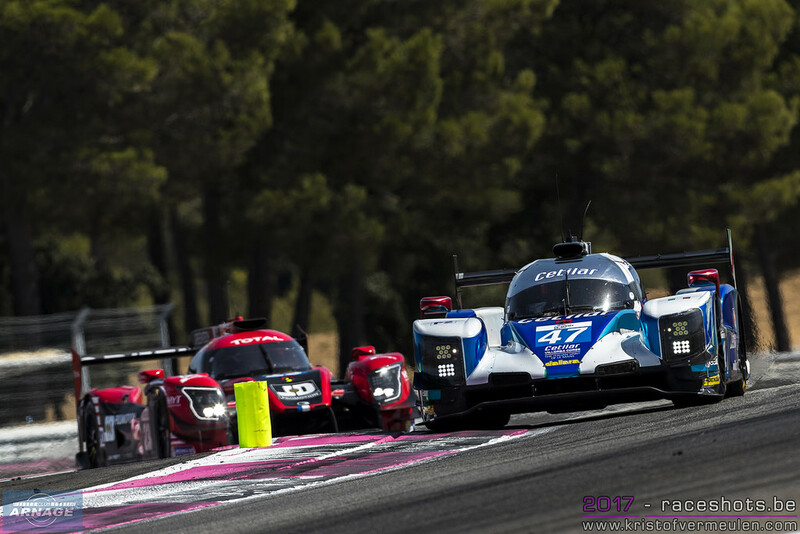 LMP2 saw a slight setback in entries, mainly because several teams stepped up (again) to LMP1. A small grid of 7 cars this season but for the first time with 3 different manufacturers. BMW joins the LMGTE Pro ranks with the big and brutal M8, facing stiff competition from all 4 returning manufacturers. In LMGTE Am, there's an increase to 9 cars with 3 new teams in the championship. As expected (or feared), the date of the 6 Hours of Fuji has been changed again to accomodate Toyota so Fernando Alonso can race in Toyota's home race. This means the third round of the FIA WEC now clashes again with the final race of the IMSA/NAEC championship, Petit Le Mans. A controversial clash as several drivers have contracts in both championships, especially in the North American Endurance Cup. Olivier Pla, Harry Tincknell, Augusto Farfus and Renger van der Zande are a few of the drivers who would be on double duty that weekend. 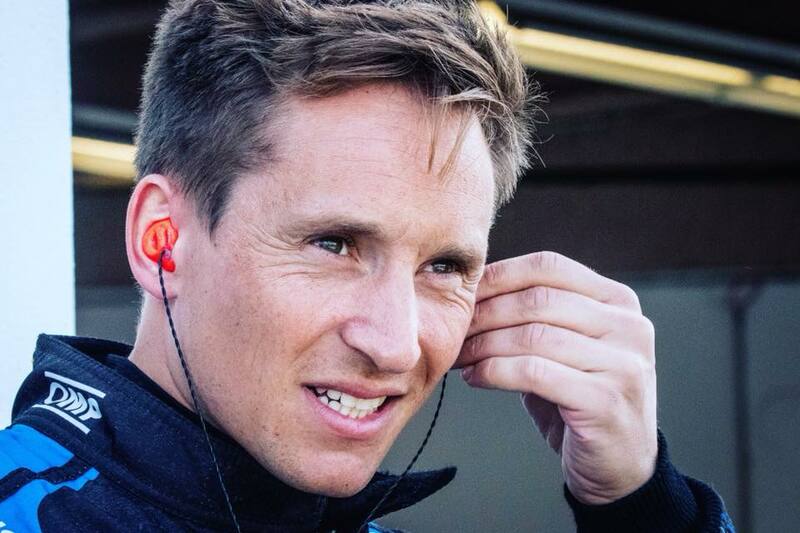 For van der Zande, who drives with Wayne Taylor Racing in IMSA, this could leave him out of the WEC in Spa and Fuji. It's unclear whether a change of date for the Petit would still be possible with a very cramped schedule in that time of the year. Rebellion Racing will enter two Gibson powered, Oreca built R13 prototypes. The leading driver in the #1 is André Lotterer, Thomas Laurent who climbed from LMP3 to LMP1 in just 3 seasons time has been appointed as the leading driver in the #2 R13. Other drivers for Rebellion are Neel Jani, Bruno Senna, Mathias Beche and Gustavo Menezes. The exact driver pairings are still to be announced. Next up is ByKolles Racing which returns with its updated Nismo powered Enso CLM P1/01. The Austrian team stepped out the FIA WEC after the race at the Nürburgring last year to prepare itself for the super season. An intensive test program already saw several updates on the car. Oliver James Webb is the first confirmed driver. CEFC TRSM Racing, also known as Manor, is now confirmed with not one but two Ginetta G60-LT-P1 proto's, both powered by the new Mechachrome engine. It's been rumoured for some weeks, but it was only 'till this afternoon that the second car has been confirmed. The driver line-up of the #5 will be led by Ginetta factory driver and ELMS LMP3 champion Charlie Robertson, Oliver Rowland who made his way up in Formula racing is named as first driver in the #6 Ginetta. Toyota Gazoo Racing is the only OEM manufacturer left in the World Endurance Championship and the sole entry in the LMP1 Hybrid class. The Japenese team returns with two cars for the WEC and their chase to win the 24 Hours of Le Mans. As previously confirmed, the #7 car will be driven by Mike Conway, Kamui Kobayashi and Jose Maria Lopez, the #8 will be in the hands of Sebastien Buemi, Kazuki Nakajima and Formula 1 ace Fernando Alonso. Dragonspeed is the first customer team with a BR Engineering BR1 which will be powered by the Gibson LMP1 engine. Drivers are Hendrik Hedman, Ben Hanley and Renger van der Zande. 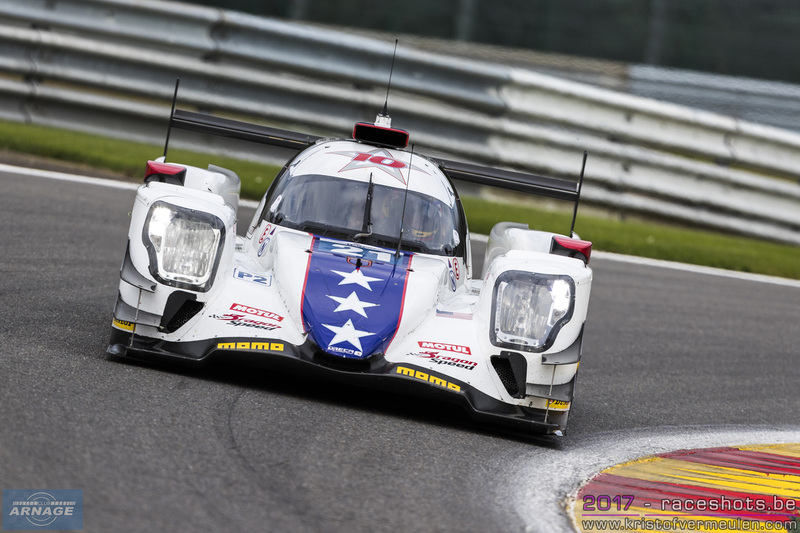 Van der Zande will make his debut at Le Mans, but might have to miss the 6 hours of Spa and Fuji because the clash with IMSA dates where he's one of the drivers in the Wayne Taylor Racing Cadillac DPi. Hedman has gotten a waiver from the ACO to race in the LMP1 class as bronze driver. 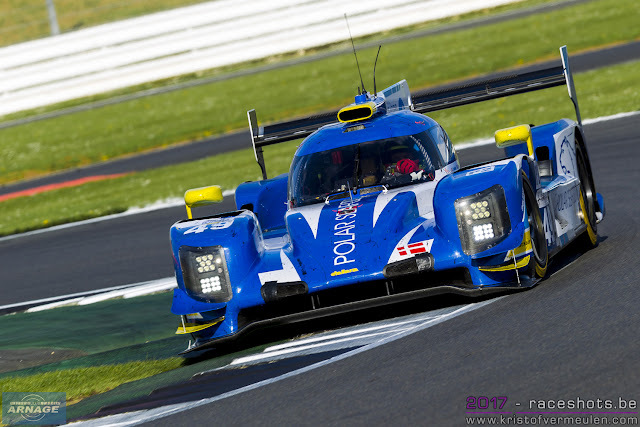 The final team in the LMP1 class is SMP Racing which fields 2 BR Engineering BR 1's. SMP's cars will use an AER engine, opposite to the Gibson in the Dragonspeed car. 2 Russian drivers have been confirmed so far: Mikhail Aleshin in the #11, Vitaly Petrov in the #17. BR Engineering has been testing the car intensively since November last season, this team might be the biggest challengers of Toyota. A full Russian line-up is expected in at least one car, with several Russian drivers part of the test program. The growth in LMP1 and several LMP2 teams stepping up to the top class of the championship reflects on the amount of cars in LMP2. Just 7 cars have applied for a full season entry this time. However, for the first time since the unification of the class, 3 different manufacturers will be present for the super season. Oreca still has the upper hand with 5 cars, compared to 1 Dallara and 1 Ligier. TDS Racing is first up, François Perrodo returning for his second season in the World Endurance Championship in their Oreca 07. He will be joined by Matthieu Vaxivière and ex Audi factory driver Loïc Duval. Racing Team Nederland will field the only Dallara P217, stepping up from the European Le Mans Series last season. Team owner and gentleman driver Frits Van Eerd leads the driver-line up and will be joined by Giedo van der Garde and "good old" Jan Lammers. Lammers will race at Spa and Le Mans (his 24th race at La Sarthe), but might be replaced for the remainder of the season. Dragonspeed not only fields a car in the LMP1 class, but will also race in LMP2 with a Gibson powered Oreca. Mexican Roberto Gonzalez is the sole driver confirmed so far in the #31. Next up is Signatech Alpine Matmut, back with their #36 Alpine A470 rebranded Oreca for Nicolas Lapierre, Andre Negrao and Pierre Thiriet. Thiriet raced with G-Drive last season until Fuji and now returns to the championship with Alpine. No second car for Alpine as they had last season. Jackie Chan DC Racing is the only team with 2 cars on the grid this year. 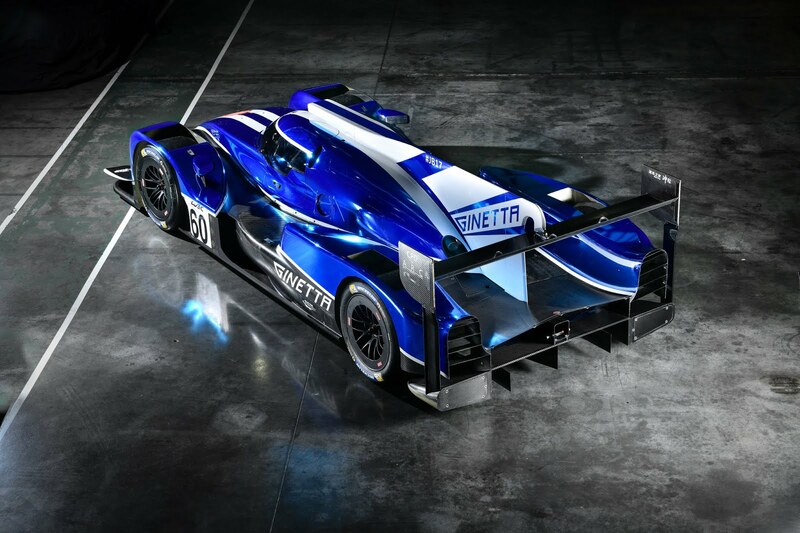 Again opting for the Oreca 07, the Fortunecat 37 will be driven by Jazeman Jafaar, the Mighty 38 by Ho-Pin Tung. More driver announcements are forthcoming for the Japanese team. A new - and rather surprising - face in the prototype paddock is Larbre Competition. 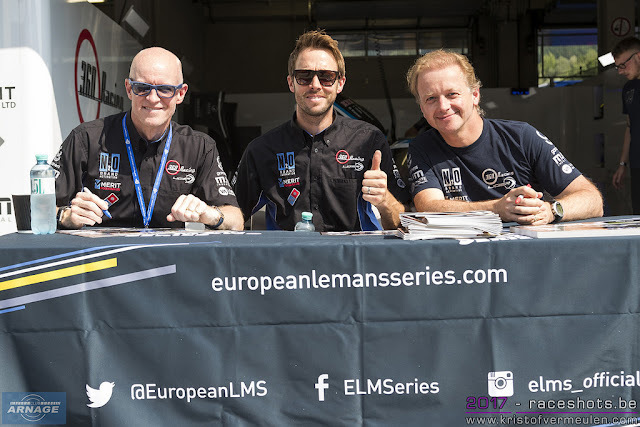 Jack Leconte's team coming into the LMP2 class for the first time since 2014, celebrating their 25th participation in the 24 hours of Le Mans with a full season campaign. 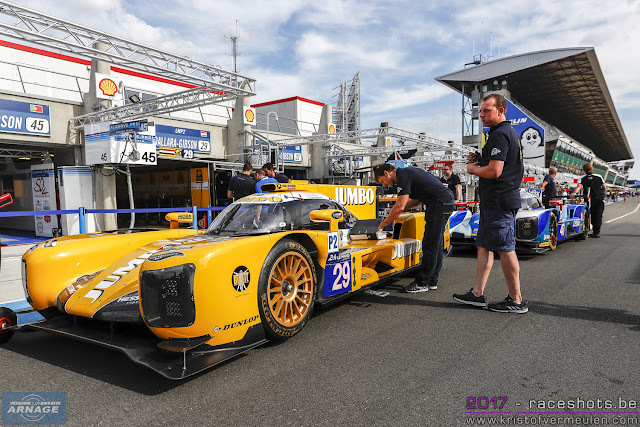 Larbre will be the sole team to enter a Ligier JSP217. All drivers have been announced today for the #50: Erwin Creed, Romano Ricci and Fernando Rees will be behind the wheel of the Ligier. The usual suspects arrive in the LMGTE Pro class for the super season. 2 new cars on the grid with the arrival of BMW and their M8 GTE and the all new Aston Martin Vantage AMR. A few changes to be noted in the driver line-ups too at Porsche and Aston Martin. AF Corse defends last year's title with the updated Ferrari 488 GTE Evo. No change in the driver line-ups here with Alessandro Pier Guidi and James Calado in the #51 and reigning champions Davide Rigon and Sam Bird in the #71. Ford returns in what might be the final cycle of the Ford GT with the #67 for Stefan Mücke and Olivier Pla and the #68 for Andy Priaulx & Harry Tincknell. BMW returns to the FIA World Endurance Championship with BWM Team Mtek, running 2 M8 GTE's. BMW is the only team running three drivers all season. Martin Tomczyk, Nicky Catsburg and Philipp Eng will be driving in the #81; Augusto Farfus, Antonio Felix Da Costa & Alexander Sims are on duty in the #82. The second season for the Porsche 911 RSR marks the return of Gianmaria Bruno to the FIA WEC after moving over from Ferrari to the Stuttgart based manufacturer. Bruno will share the #91 with Richard Lietz, replacing Fred Makowiecki who moves back to IMSA for a full season drive. No changes in the #92 where Michael Kristensen and Kevin Estre are back in the cockpit. Aston Martin arrives for the super season with its all new "poison green" Vantage AMR. 2016 GTE champions Marco Sorensen & Nicky Thiim ara back in the #95, the #97 will feature a complete new driver line-up. New signings Alex Lynn and Maxime Martin will replace Darren Turner and Jonny Adam. As in the past season, this will be the class with the most close racing in the whole field. BMW arrives with a new car, but already showed some good reliability at Daytona in January. If they are able to pick up the pace by the first race in Spa, they might be in the mix from the beginning of the season. Like Priaulx said at the press conference this afternoon: LMGTE Pro will be a titanic dog fight all season long. The future of the LMGTE Am class seemed uncertain for a while with the increase in LMP1 teams and the uncertainty about the numbers in the LMP2 class, even with stories emerging teams would be led off to the European Le Mans Series instead. An unexpected increase to 9 cars in the class however with 3 new teams, makes the Am class a very healthy one for the super season. Combined with the Pro class, 19 GTE's will feature on the 2018/2019 grid, an all time record for the World Endurance Championship. AF Corse will have its hands full next season, not only fielding their own 2 factory Ferrari's in the LMGTE Pro class, but also running 3 Ferrari's in the Am class. Spirit of Race and Clearwater return to the championship, while MR Racing is new to the WEC. Thomas Flohr is back in his silver #54 Spirit of Race 488 GTE, now joined by Giancarlo Fisichella who returns to the FIA WEC after racing in IMSA and Blancpain series in the past seasons. Francesco Castellacci returns to the team, while Miguel Molina is being replaced by Fisichella. Also returning for their second season is Clearwater Racing in the #61 F488 with an unchanged driver line-up: Weng Sun Mok joined again by Keita Sawa and Matt Griffin. New in the WEC is Japanese team MR Racing, who will also race a Ferrari 488 GTE. Ishikawa Motojaki and Olivier Beretta tested the Clearwater Ferrari at the rookie test in Bahrain last year after which the team confirmed its intention to race in the championship. They will be joined by 3 time Le Mans veteran Eddie Cheever III in the #70 Ferrari. The second new team in the Am class is Team Project 1, a successful German team in GT3 and Carrera Cup racing, winning last seasons Carrera Cup Germany and racing in several GT3 championships. 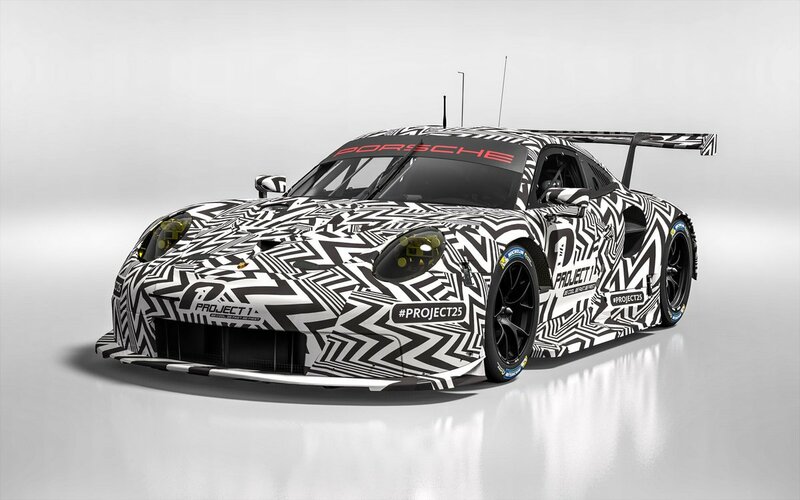 The team acquiered a new Porsche 911 RSR and will make its debut in the FIA World Endurance Championship. The #56 will be driven by Porsche works driver Jorg Bergmeister, Patrick Lindsey and Egidio Perfetti. Dempsey Proton Racing is the second team racing with Porsche, and brings back 2 cars to the Am field. Matteo Cairoli is already confirmed on the #77 (expect team owner Christian Ried also on this one), Matt Campbell will lead the #88 entry. The fourth and final Porsche in class will be entered by Gulf UK Racing, now in its second season in the WEC. Michael Wainwright is confirmed as the lead driver in the #86, Ben Barker also almost certain to join in again. The first Aston Martin in the Am class is the #90 TF Sport Vantage of Salih Yoluc, Euan Hankey and Charles Eastwood. 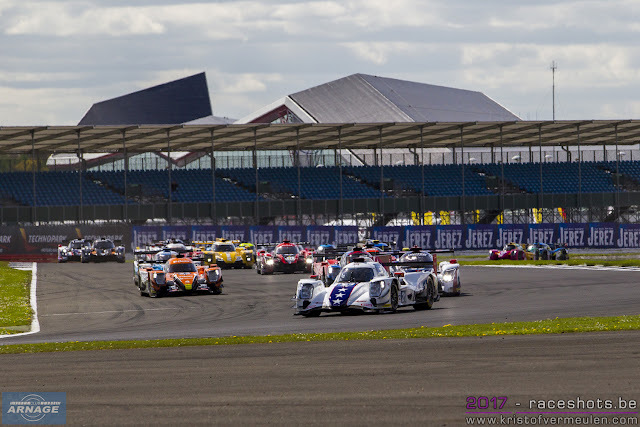 The 2017 runner-up of the European Le Mans Series quickly announced its move up to the WEC after the end of last season. Yoluc and Hankey already drove together in the ELMS with Nicki Thiim last season. Last, but not least, are last years champions Paul Dalla Lana, Pedro Lamy and Mathias Lauda in the #98 Aston Martin. Their entry was unsure for a long time, as they won't be able to race with the new Vantage and all other competitors will race much more recent machinery. With a BoP in favour of the "older" Aston, they still might have a chance to fight for victory this season. An impressive 41 car grid has been announced today for this years European Le Mans Series. 17 cars will feature in the LMP2 class, the highest number ever in the championship. The arrival of 3 new teams in the class, the return of G-Drive with a 2 car effort and a Rebellion Junior team with a few (very) strong driver line-ups will make up for another thrilling season the championship's top class. 18 cars are on the LMP3 grid, about the same number as last season but with a few noteable newcomers coming over from the Michelin Le Mans Cup. As expected it's Norma vs Ligier again in this class. GTE has 6 entries this season, equally divided by Porsche and Ferrari, unfortunately no Aston Martins will be on the grid this season. Looking into the LMP2 entry list, let's start with Oreca, which won last years' championship with G-Drive and now has 7 cars on the grid. G-Drive Racing returns to the ELMS to defend last years title. Not with one car like in the past years, but with a 2-car effort although run by different teams. The first car, run by TDS Racing, the #26 Oreca 07 will be driven by Roman Rusinov, Matthieu Vaxivière and Jean-Eric Vergne. The second car (#40) will be managed by Graff and have James Allen, Enzo Guibbert and Jose Guttierez behind the wheel. Whether this means G-Drive won't compete in the FIA WEC Super season is unclear at this time, although it's believed that Rusinov might do a partial super season. 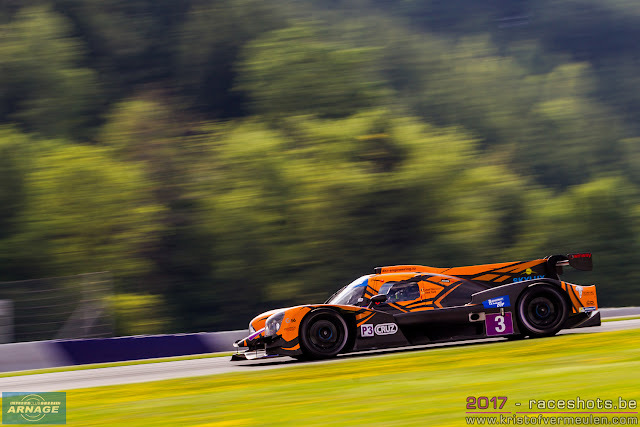 Next to the second G-Drive, Graff also fields their own Oreca for Alexandre Cougnaud, Jonathan Hirschi and Tristan Gommendy. Dragonspeed who ran the championship winning G-Drive last season returns with one Oreca for Henrik Hedman, Ben Hanley and Nicolas Lapierre, the same driver line-up as last season. Busy times ahead for Hedman and Hanley as they both will race with the all new BR1 in the FIA WEC too. New in the LMP2 class with a Gibson powered Oreca 07 is Duqueine Engineering. After adding Norma to their Automotive division, they announced to move up a class so they wouldn' race agains their customers. Just 1 driver confirmed so far for the #29 is Frencham Marvin Klein. Another new team is Spanish Racing Engineering, here also only 1 driver on the provisional entry list: Norman Nato. Algarve Pro Racing will run an Oreca as second car under the flag of Rebellion Racing, as a junior team for the Swiss outfit. With a driver line-up consisting of Harrison Newey, Thomas Laurent and presumably Richard Bradley doesn't seem that "junior" though. Running the Rebellion Oreca 07 also means APR will stage 2 different cars on the grid, as their own entry is a Ligier JSP217. Mark Patterson who drove for United Autosports in LMP3 last year and Ate De Jong are the first drivers confirmed for the Ligier. Ligier will have 6 cars on the grid, entered by 5 different teams. Championship challengers United Autosports add a second Ligier in the LMP2 class this year. The #2 will be driven by Philip Hanson & Filipe Albuquerque while William Owen and Hugo de Sadeleer will be in the #32 again. IDEC Sport already announced moving up to two cars last December, and will have two Ligiers on the grid. The French team leaving no doubt about their ambitions this year with Nicolas Minassian joining the team as racing director and Paul Loup Chatin as lead driver. Chatin will share the #28 Ligier with Paul Lafargue, Patrice Lafargue will be in the #27. Panis-Barthez Competition focuses on the LMP2 class this season with their #23 Ligier for Timothé Buret. Fabien Barthez is also expected for driving duties again, the identity of the third driver still unknown. The team won't enter a car in the LMP3 class this season. 4 Dallara's will race in the ELMS this season, 3 teams returning after last season and the addition of 1 new car. 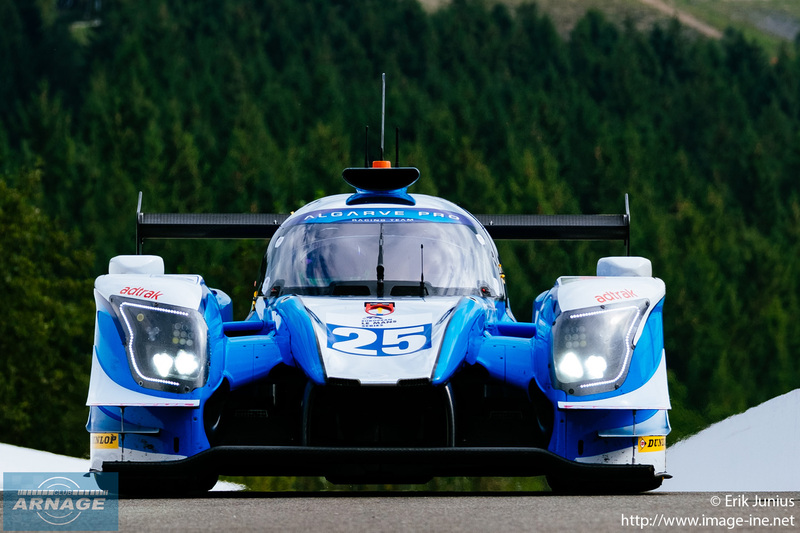 SMP Racing, who won the 4 Hours of Le Castellet last season return with the #35 Dallara P217, one driver confirmed so far: Victor Shaitar. Other returnees are Italians Cetilar Villorba Corse with the #47 Dallara driven by the same crew as last season: Roberto Lacorte, Giorgio Sernagiotto and Andrea Belicchi. Danish team High Class racing is also back in the LMP2 class with Dennis Andersen and Anders Fjordbach in the #49. As reported earlier, Spanish team AVF by Adrian Valles joins the ELMS for the first time with the #30 Dallara driven by Konstantin Tereschenko and Henrique Chaves. The LMP3 class has 18 entries this season, of which 3 teams are new to the championship. 3 Norma's will face 15 Ligiers this season but with a few fast drivers in the Norma's, it's going to be an interesting season again. United Autosports leads the pack with 2 Ligiers JSP3's. Americans John Falb and Sean Rayhall return to defend their title and will be joined by Anthony Wells and Matthew Bell in the #3 Ligier. Other teams returning with the Ligier are Cool Racing with Alexandre Coigny, Iradj Alexander and Antonin Borga; BySpeed Factory (now C NEFIS by Speed Factory) and 360 Racing. The first new team, moving up from the Michelin Le Mans Cup is British Ecurie Ecosse/Nielsen, bringing another Ligier to the championship. The #7 will be driven by Colin Noble, Alex Kapadia and Christian Stubbe Olsen. Last years Michelin Le Mans Cup champions DKR Engineering also step up to the ELMS with their fast and reliable Norma M30. Jean Glorieux and Alexander Toril will on driving duties again. Two new teams, but two teams to watch out for in the new season ! The third newcomer is British BHK Motorsport with another Ligier JSP3, Francesco Dracone and Jacopo Baratto are announced as their drivers. AT Racing is set for its second season in prototype racing, so far with father and son Talkanitsa confirmed in the #9. The colourful Oregon Team Norma will also be back on the grid with Andres Mendez. Eurointernational fields two cars again, the #11 for the returning Ricky Capo and prototype debutant Kay Van Berlo; the #12 for Andrea Dromedari and Maxwell Hanratty. Inter Europol will also be on the grid with two Ligiers, expanding their effort in the championship. The #13 will be driven by Jakub Smiechowski and Martin Hippe again, the new #13 is manned by Paul Scheusner and Hendrik Still. RLR Msport has a new line-up in their #15 Ligier since Kapadia moved over to Ecurie Ecosse. John Farano, Rob Van Uitert and Robert Garofall will be driving for the team this season. Ultimate returns with Mathieu & Jean-Baptiste Lahaye and François Heriau in their red/white #17 Ligier. Yvan Müller's M Racing-YMR is the final team in the LMP3 class, and will race with last years cars again: the #18 Ligier JSP3 for Laurent Millara and Nathan Bihel and the #19 Norma for Nicolas Ferrer. The GTE Class will be a battle Porsche vs Ferrari this season. 6 cars will be on the grid, equally divided between Porsche and Ferrari. 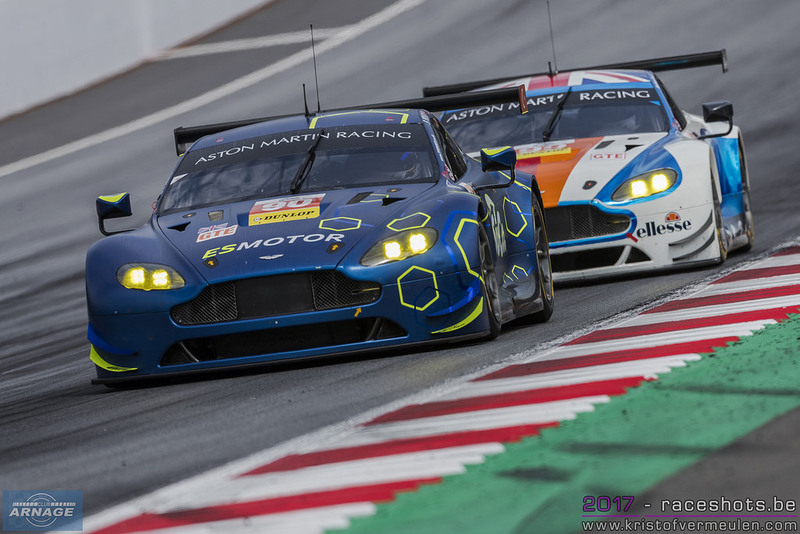 No Aston Martins this season in the ELMS, TF Sport moving up to the FIA WEC and Beechdean seem to focus on British GT (or will they step up to the WEC too ?). JMW Motorsport is back after clinching the 2017 title and leads the Ferrari entries with the #66 F488 GTE. Only one driver is confirmed so far: Liam Griffin. Also back in 2018 is Duncan Cameron with his Spirit of Race Ferrari, sharing his car again with Matt Griffin and Aaron Scott like last year. The third Ferrari sees Tracy Krohn returning to the championship after being absent for a year. 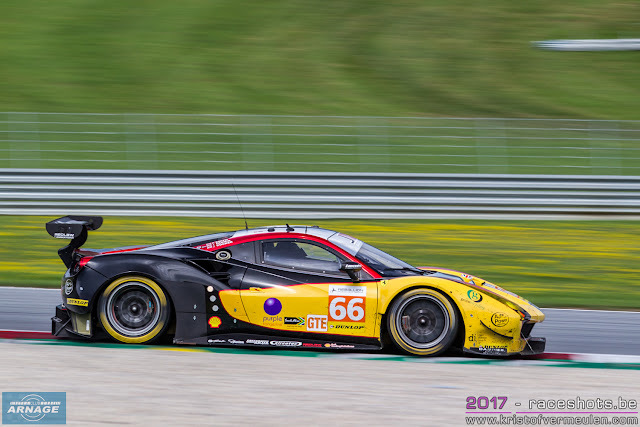 Krohn Racing raced with a Ligier in LMP2 back in 2016 but now gets back in a Ferrari in the GTE class. Tracy Krohn will be joined by Niclass Jonsson and Andrea Bertolini. Proton Competition will race with 2 new - not to be called mid-engined - Porsche 911 RSR's. The #77 has Matteo Cairoli listed as designated driver, the #88 sees Matt Campell on the entry list so far. The third Porsche is for Italian Ebimotors, the 2017 Michelin Le Mans Cup champions. For their step up to the ELMS, the team switched their Lamborghini for a Porsche, with Fabio Babini behind the wheel. Download the 2018 entry list here !! ELMS: Which teams to expect in the 2018 European Le Mans Series ? In just two days, the entry list for the 2018 European Le Mans Series will be revealed on the series' website and social media. Time to look ahead and figure out which teams we might expect to return to the series and which new teams will make their appearance this season. The LMP2 class seems healthier than ever. Racing Team Nederland won't return this year as the Dutch team has applied for an entry in the FIA WEC. All other teams from last season are expected to return - some of them with an extra car - and at least one new team will appear at the prologue and first race at Paul Ricard in April. Dragonspeed already confirmed their return to the European Le Mans Series 2 weeks ago. The team's Oreca 07 will be driven again by the same trio as last season with Nicolas Lapierre, Henrik Hedman and Ben Hanley. Busy times ahead for Hedman and Hanley with the Oreca in ELMS and the BR1 in the FIA WEC. With Nico Lapierre staying with the team in ELMS, it's expected he will replace Renger van der Zande in Spa which collides with the IMSA race at Mid-Ohio. G-Drive's plans will remain - as usual - unclear untill the entry lists for both ELMS and WEC are announced. A return to both championships is expected though, but which team will run the G-Drive car(s) for the 2018 season remains a surprise. United Autosports expands its efforts in the European Le Mans Series to 4 cars this year, adding an extra Ligier JSP2 in the mix, next to both JSP3's. 24h of Daytona winner Filipe Albuquerque will be joined by Phil Hanson in the first car for the season and at Le Mans. The second car will be driven by Will Owen and Hugo de Sadeleer who drove with Albuquerque last season and already shared a Ligier in Daytona last month. Double race winners Graff will be back for more in 2018, returning with both of their Gibson powered Oreca 07's. No official news on drivers yet, but expect a strong mix of returning and new drivers in both cars. For Le Mans, Graff will team up with SO24 and Vincent Capillaire in one of their Oreca's. Graff will also be back in the Michelin Le Mans Cup, probably running 2 Ligier JSP3's. IDEC Sport expands its ELMS program to two cars this year, bringing 2 Ligies JSP2's to the grid. The team is aiming for race victories, if possible a shot for the title and is expanding with some impressive names. In December, Nicolas Minassian made to the move from Dragonspeed to IDEC as Racing director. Another big asset for the team will be Paul Loup Chatin who will drive on of the Ligiers alongside Paul Lafargue. The former ELMS champion and Alpine driver brings a lot of knowledge and experience to the team. This might be one of the cars to watch in 2018. Duquiene Engineering - which acquiered Norma after last season - steps up to the LMP2 class this year with an Oreca 07. Stepping up to LMP2 prevents Duqueine from racing against its Norma customers in the LMP3 class. No word yet about the driver line-up so far. Panis-Barthez Competition is set for its second season in the LMP2 class, and is expected to field its second car in the LMP3 class again. Expect Fabien Barthez back at the wheel of the LMP2 Ligier, joined by Timothé Buret and Nathanaël Berthon again. Italian Cetilar Villorba Corse returns with their Dallara for a second season in LMP2. No change in their driver line-up with Roberto Lacorte, Giorgio SernaGiotto and Andrea Belicchi back behind the wheel. High Class Racing from Denmark will also return with their Dallara and Anders Fjordbach & Dennis Andersen in the cockpit. The team also confirmed to be eying for an invite for the 24 Hours of Le Mans this year. Spanish team AVFormula run by Adrian Valles, will be a new face in the ELMS paddock this season. AVF has been active in the Formula Renault 2.0 aand the World Series Formula V8 in which they ran the SMP Racing Team last season. 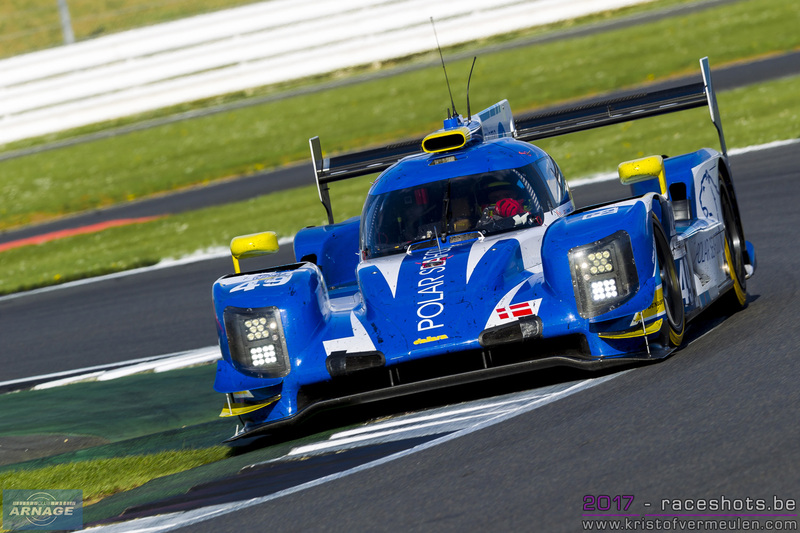 AVF will now run a Gibson powered Dallara P217 in the LMP2 class, presumably the chassis that was used by SMP Racing last season. 2 drivers haven been announced so far: Henrique Chaves from Portugal who has been racing with the team for several years now and Russian driver Konstantin Tereschenko. Algarve Pro Racing's plans remain unclear after just finishing the Asian Le Mans Series last weekend, although they are likely to return to the European Le Mans Series with their Ligier. M.RacingYMR has been linked to an entry in LMP2 but decided to race in GT4 this year. 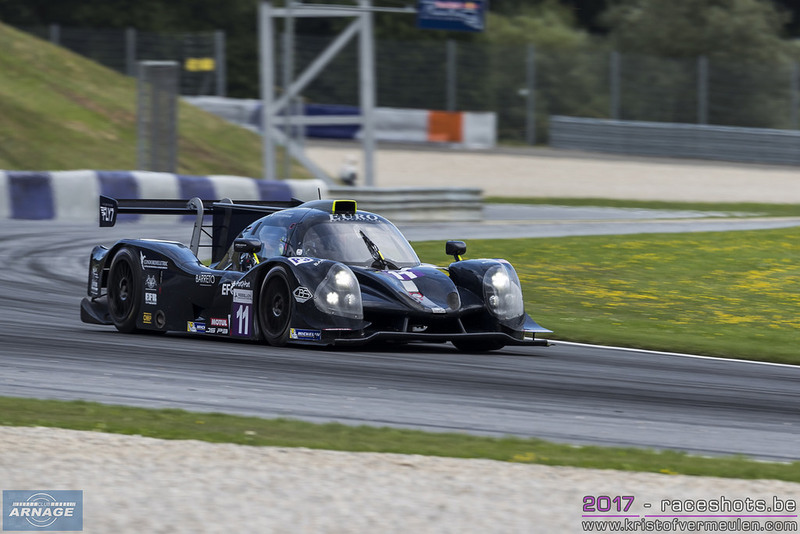 The team of the 4 time WTCC champion will remain in the LMP3 class thought with their Norma M30. As reported earlier, United Autosports will defends its title in the LMP3 class with John Falb and Sean Rayhall returning behind the wheel of the #2 Ligier. Drivers for the #3 Ligier are still to be confirmed. 360 Racing returns to the LMP3 class for the third season in a row and retains the same driver line-up as in 2017. Terrence Woodward, James Swift and Ross Kaiser will be back on driving duties for all races on the 2018 calendar. RLR MSport will also be back on the grid in the LMP3 class, reserving their Ligier JSP3 for Ross Kaiser, John Farao and Job Van Uitert. Van Uitert is a young Dutch driver (°1998) who has raced in the Italian F4 championship in which he became runner-up last season. Both Van Uitert and Farano will also race for the team in the Michelin Le Mans Cup. 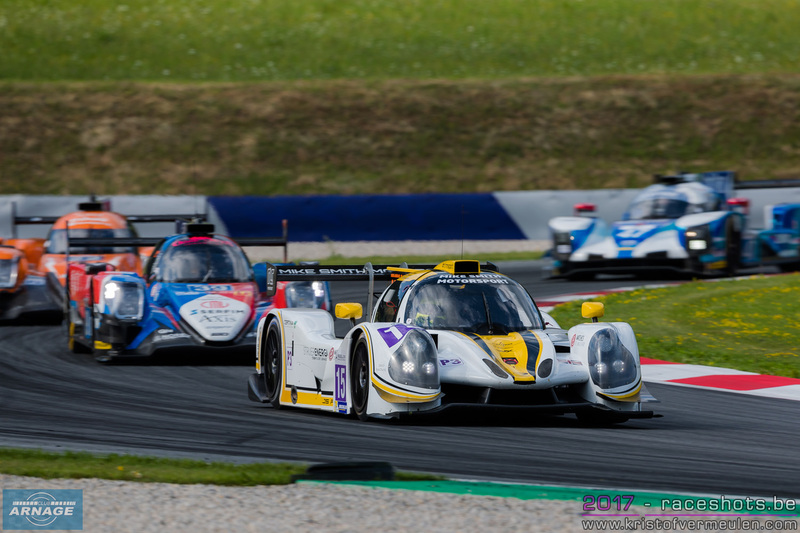 Eurointernational is also expected again in LMP3 with both of their Ligiers. So far only Ricky Capo has confirmed his return to the team in the #12 car. Same for Polish team Inter Europol Competition, who will return with their Ligier this season. Other teams combining an entry in LMP2 and LMP3 or returning to the LMP3 class are Panis-Barthez Competition and M.Racing/YMR. Ultimate, Cool Racing by GPC and AT Racing also seem to be returning to the 2018 championship. Michelin Le Mans Cup champions DKR engineering seems to be set to defend their title, but have acquired a second Norma M30 which might be entered in the ELMS. The amount of cars in the GTE class is pretty tough to call at this moment. With the increase in interest in the FIA WEC, especially in LMP1 and the addition of BMW in the LM GTE Pro class, entries for the 2018/2019 super season could be hard to get. Even with an increase to a maximum of 34 cars, there's a chance teams in GTE Am will be denied entry for the World Endurance Championship. Those teams might come over to race in the ELMS GTE class this season. JMW will definitely be back to defend their 2017 title with the yellow Ferrari 488 GTE and their win in the Le Mans GTE AM class. No words on drivers yet, but Rob Smith is likely to return to the team. Also expected back with 1 or 2 Ferrari's is AF Corse run Spirit of Race, Duncan Cameron and Gianluca & Giorgio Roma running 2 Ferrari's. Proton Competition should also return to the series, possibly with a Team owner Christian Ried will probably share the car with Matteo Cairoli and a third driver which is still to be announced. Proton has acquiered three new 911 RSR's of which one should be entered in the ELMS, don't forget to bring your earplugs ! Returning to the European Le Mans Series after being absent from a full season drive in 2017 is Krohn Racing. Tracy Krohn has been reported to return to the GTE class with a Ferrari F488 GTE which will be run by AF Corse. Krohn Racing's last full season in ELMS was in 2016 when they ran a Ligier LMP2. He will be joined by Nic Jonsson and Andrea Bertolini. TF Sport won't return to the ELMS as Salih Yoluc & co will step up to the FIA World Endurance Championship. Beechdean's plans are unclear too up until now, not sure whether they will return to the ELMS of if Andrew Howard will also make the move to the WEC. Unfortunately this means there's a chance we won't see an Aston Martin on the grid this year. The 2018 grid and European Le Mans season will be announced on Thursday afternoon. 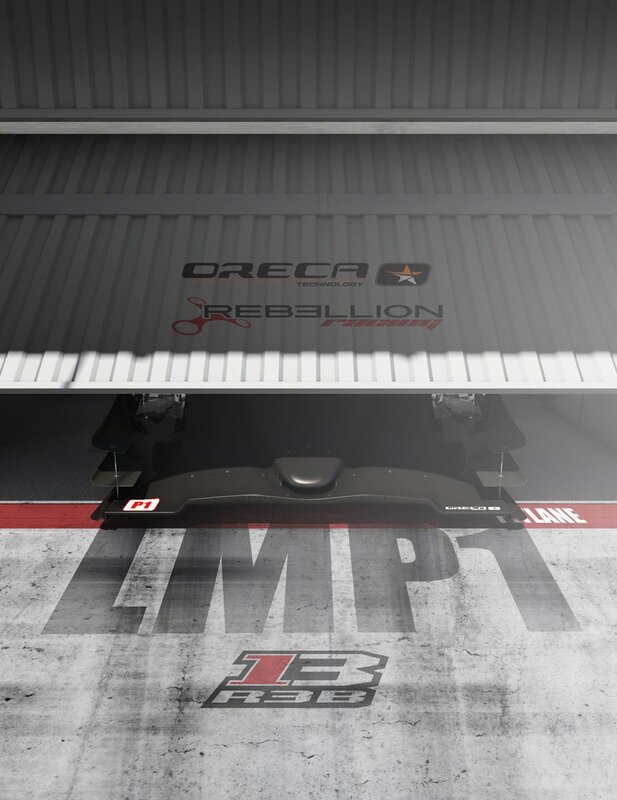 Rebellion Racing and Oreca confirmed their partnership for its return to the LMP1 class in the FIA World Endurance Championship this season. It's a continuation of a long time partnership between the team and the manufacturer, as Oreca also designed and built the Rebellion R-One and Rebellion won the 2017 LMP2 title with the Oreca 07. 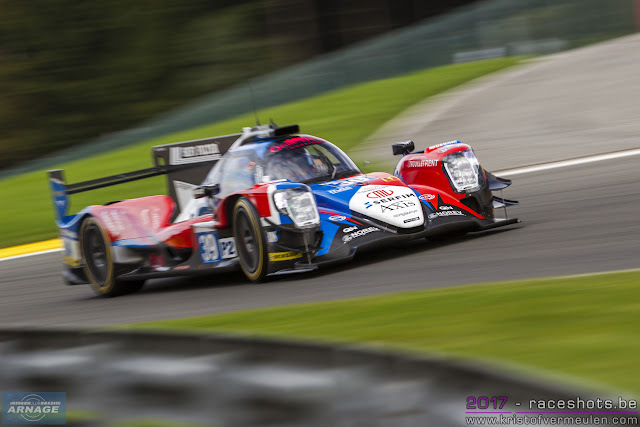 Several months ago, the French manufacturer began working on designing and manufacturing a new LMP1 car for the Swiss team, in addition to bringing operational support to Toyota Gazoo Racing. For Alexandre Pesci's men and his 10 year old quad it seemed natural to come back to LMP1 with the new regulations put in place by the ACO. For a fifth year this is a true partnership set up between Rebellion Racing and Oreca. “To design this new LMP1 prototype is a wonderful challenge” said Hugues de Chaunac, CEO of the Oreca Group. “When the design bureau began developing the Oreca 07, we really wanted to move up to the next level, one step higher compared to the Oreca 05. The successes achieved last year really motivated and convinced us to now tackle this highly competitive main category. Fitted with an atmospheric engine, this LMP1 will face a hard task agains the Hybrid cars, but the Rebellion R13 will be a very determined challenger”. The new “Rebellion R13” will be equipped with a naturally aspirated Gibson engine and will be finalised shortly before the prologue for a first shakedown with Rebellion Racing's team members and drivers. The car will probably be presented at the Geneva Motor Show in March. Dragonspeed completed its driver line-up for its first season in the FIA World Endurance Championship. Renger van der Zande will join Henrik Hedman and Ben Hanley behind the wheel of the Gibson powered BR1 LMP1 prototype. 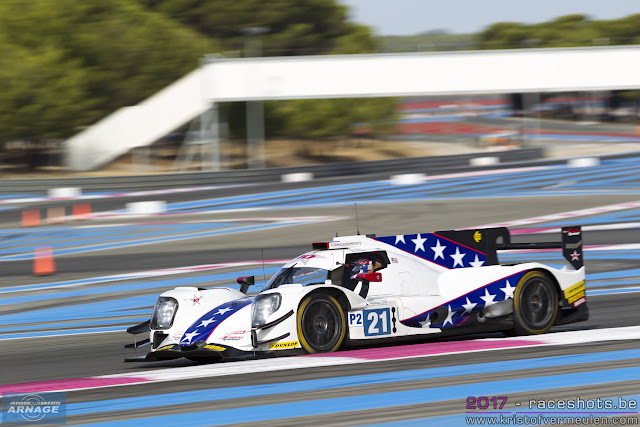 Signing for Dragonspeed means a return to the team van der Zande already raced for in the 2013 American Le Mans Series with an Oreca FLM09 in the LMPC class. He moved up the prototype category where he won at Laguna Seca last season with Marc Goossens in the Visit Florida Ligier . This year van der Zande got a seat in the Wayne Taylor Cadillac DPi and immediately set pole for last months 24 hours of Daytona. The Dutch - gold rated - driver has raced one before in the FIA WEC in 2012 with a Lotus/Lola coupe at the 6 hours of Spa-Francorchamps. He will make his debut at Le Mans in June. 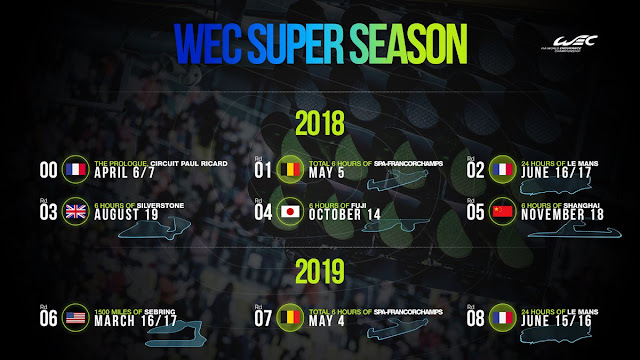 It's unclear yet if will be able to race at Spa in May, since the opening race of the WEC season clashes with the IMSA race at Mid-Ohio. The US based team will also remain active in the LMP2 class of the European Le Mans Series. Drivers for their Gibson powered Oreca07 still to be announced.